Glass Blue Accented Javai Arrow Arista Trophy Award. If simple elegance in an award is what you’re looking for, this series of shaped glass awards will be a perfect fit. The arrow shaped glass is available in blue marble, rust marble and black carbon fiber finish. The ¼” thick glass has a nice sized personalization area highlighted by slightly beveled edges that provide a delicate but distinct border. The clean lines of these awards are preserved by using a metal pin as the base. 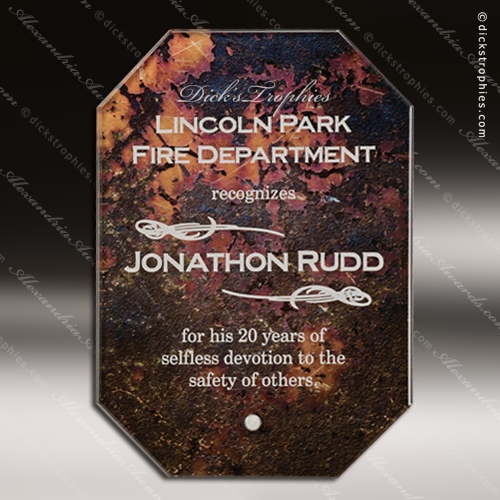 Suitable for any event, these are awards your recipient will be proud to receive and display. 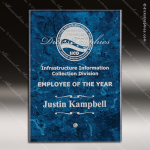 Glass Blue Accented Javai Octagon Arista Trophy Award. 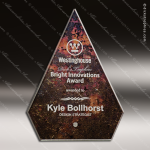 If simple elegance in an award is what you’re looking for, this series of shaped glass awards will be a perfect fit. The octagon shaped glass is available in blue marble, rust marble and black carbon fiber finish. The ¼” thick glass has a nice sized personalization area highlighted by slightly beveled edges that provide a delicate but distinct border. 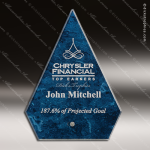 The clean lines of these awards are preserved by using a metal pin as the base. Suitable for any event, these are awards your recipient will be proud to receive and display. 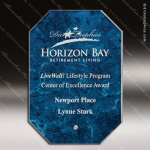 Glass Blue Accented Javai Rectangle Arista Trophy Award. 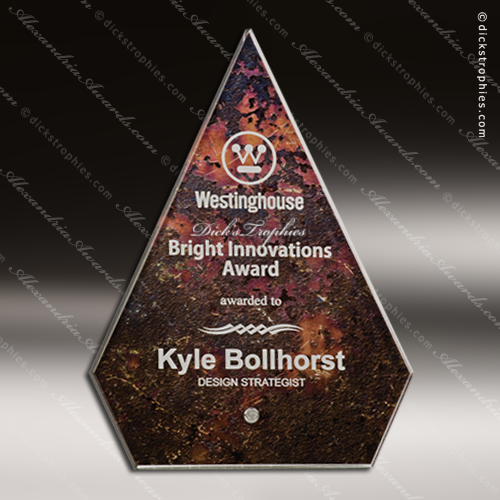 If simple elegance in an award is what you’re looking for, this series of shaped glass awards will be a perfect fit. The rectangle shaped glass is available in blue marble, rust marble and black carbon fiber finish. The ¼” thick glass has a nice sized personalization area highlighted by slightly beveled edges that provide a delicate but distinct border. The clean lines of these awards are preserved by using a metal pin as the base. 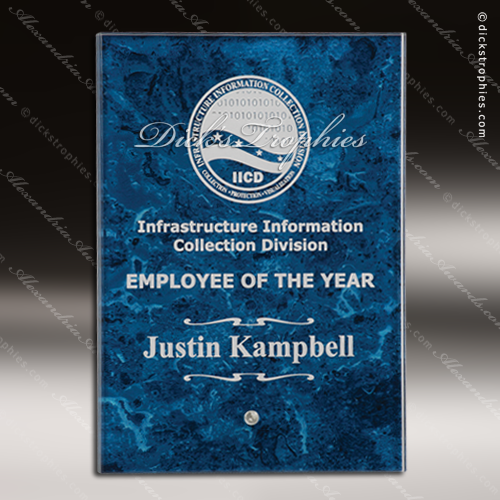 Suitable for any event, these are awards your recipient will be proud to receive and display.